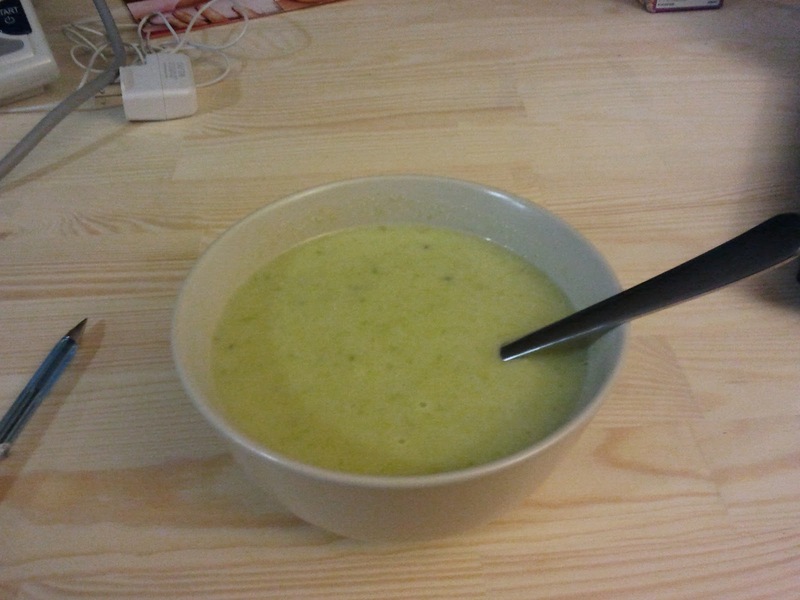 Tonight I made another soup! I fried an onion in some butter, then added all of the vegetables, then added water until the veggies were just barely covered. Then I added about a cup of chicken stock. Then I cooked it, then I blended it and stirred in some cream! 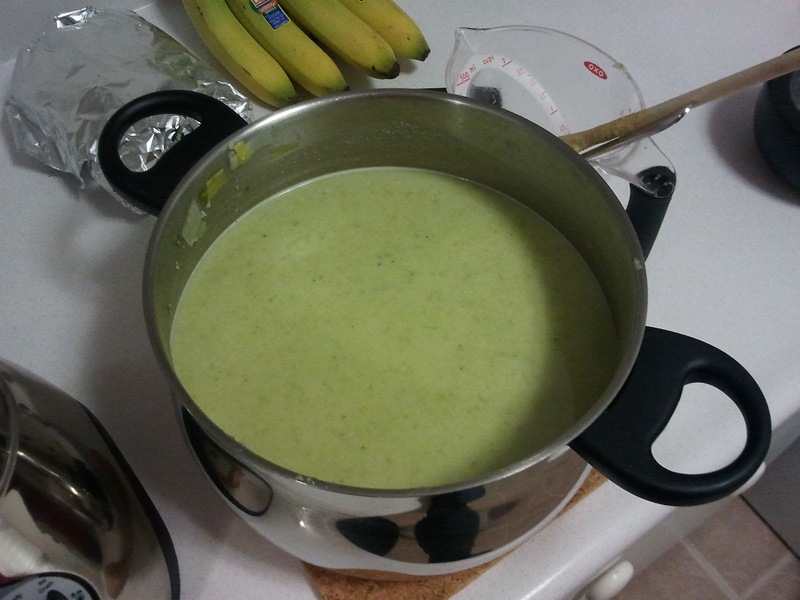 The result is a massive pot of tasty soup! The recipe is based off one I learned with Robyn at our cooking lesson at Hole in the Wall Restaurant. Except I didn't have nutmeg to grate on top, and their version didn't have asparagus. Now I have four Gladware containers full of this stuff to freeze... yumm. It was delicious! Who forgot to tell me making soup was so easy! ?